I'm not pointing fingers or blaming anyone im simply saying that it is very important that this form NOT be run like a high school. It is very very important that users are judged not by the color of their hair, hair style, how frayed their pant legs are, the clothes they wear, the content of their signatures but rather by the true quality of their character. rather by the true quality of their character. I tend to agree with this posting, especially #1! Does your employer know that you are getting paid to NOT work? 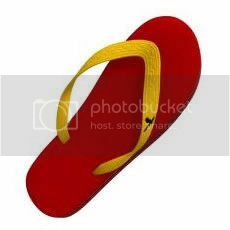 Back when I was your age (you whippersnapper) we all wore thongs, me included. Of course, back then, this was a thong. Generally they were worn in pairs. DMV would not allow 69LVR for a tag! On my 69 Mustang! The Department has the right to refuse any combination of letters and/or letters and numbers that may carry connotations offensive to good taste and decency, or which would be misleading, or in conflict with any license plate series now issued. Location: Detroit; where the weak are killed and eaten. I heard on the news about a chick wanting "LUVTOFU" on her plate, and was denied. She was a vegan, and enjoys Tofu. Also, she was pretty hot.